TICKETS: $25 at the door ($20 for students/seniors). 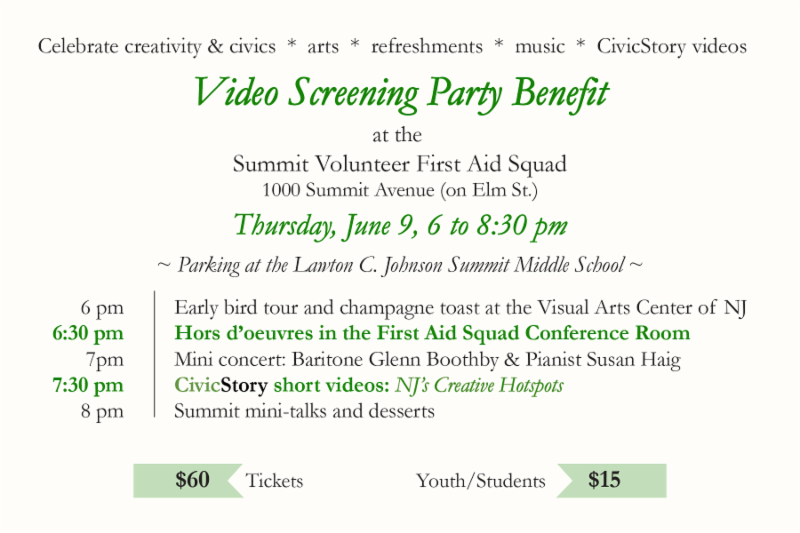 You may also send an email to sales@harmonium.org or call 973-538-6969 for more information. Large print or Braille programs will be made available if requested in advance. The church is air-conditioned, with parking. Program notes are available on the website. The 100-voice Harmonium Choral Society, led by Dr. Anne Matlack of Madison, N.J., presents its 2015-2016 concert season finale, an eclectic selection of sacred, secular and global works ranging from Schumann to Sarasola and Palestrina to Esenwalds; with world music from Haitian to Celtic to Baltic. The select Harmonium Chamber Singers will present works by Ockeghem, a Kings Singers arrangement, and an original composition by George Aronson of Morristown. This concert also premieres a work by 2016's $1000 Grand Prize winner of the Harmonium High School Student Choral Composition Contest, for the second year in a row, Mendham High School senior Zachary Catron. His work, Cold Wind, is based on a poem by Walter de la Mare, as is the second-prize composition, November, by Princeton High School student and American Boychoir School graduate Theodore Trevisan. Honorable mention recognition will go to Timothy Morrow of Ridge High School and Carl Hausman of Mt. Olive High School. Harmonium's Annual High School Choral Composition Contest is a past winner of the prestigious Chorus America Education and Outreach Award. The theme of this concert embraces some of our favorite works and some new composers we are very excited about, including as always, the talented high school ones, explains Artistic Director Dr. Anne Matlack. Music has a way of expressing the inexpressible and mysterious. We have amazing soloists drawn from our membership of 1/3 music teachers and some of our favorite works in preparation for our Baltic tour this summer. Harmonium Choral Society, based in Morris County, is one of New Jersey's leading choral arts organizations. The 100-voice choral society has been widely recognized for its musical excellence and innovative programming, and has commissioned and premiered works by Amanda Harberg, Matthew Harris, Elliot Z. Levine, Harmonium's composers-in-residence Mark Miller and Martin Sedek, and others. Directed by Dr. Anne J. Matlack of Madison, Harmonium also sponsors musicianship workshops and an Outreach Chorus which performs in schools, nursing homes and other venues. They have performed at Carnegie Hall, and the Eastern Division Convention of the American Choral Directors Association and have toured internationally to England and Wales, Eastern Europe, Spain and Portugal, and Greece and Turkey. They leave for Lithuania, Latvia and Estonia this June. WHEN: Open auditions will be held on Sunday, June 12, 2016 from 2:00 pm to 8:00 p.m. Performance dates: Rigoletto on Sunday, October 23, 2016 and Aida on Sunday, April 23, 2017 both at 3:00 p.m. at bergenPAC. All applicants must have previous experience in a fully staged production and the necessary vocal training to perform leading or supporting roles. The application deadline to audition is June 8, 2016. Although an accompanist will be provided, applicants may bring his or her own. 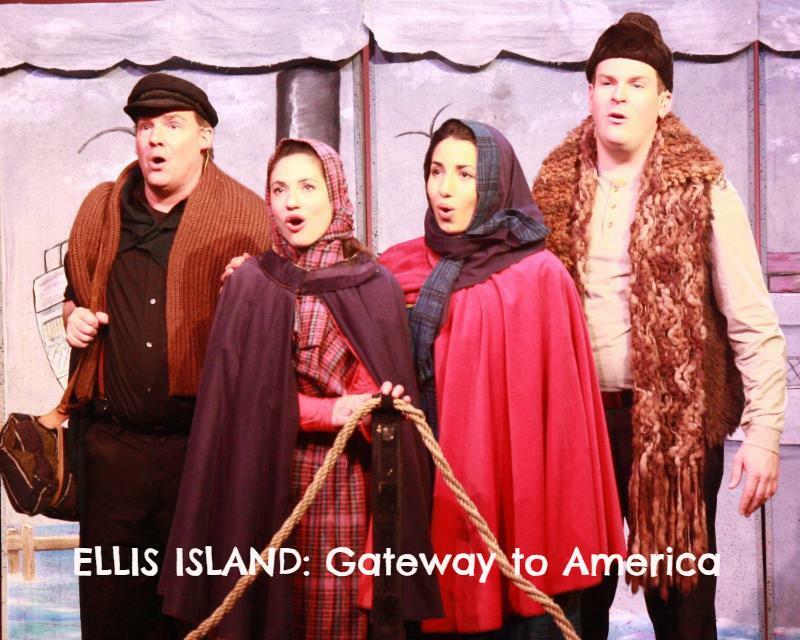 For an audition appointment, call 201-886-0561or send an e-mail to info@verismopera.org. Applicants must submit a bio listing current or past performances and roles sung, a resume, photo and an audio file, preferably in an MP3 format or on a CD, by the application deadline to Verismo Opera Inc., P.O. Box 3024, Fort Lee, New Jersey 07024-9024 or to info@verismopera.org. Vocalists should prepare to perform three arias of which one must be from Rigoletto or Aida or an opera with a similar song. Youth and families are warmly welcome; student tickets are $15. If you cannot attend, please consider donating the cost of a student ticket (or tickets) and we will invite Summit middle and high school students to attend. Thanks for supporting our efforts to broaden and enrich the news! WHEN: June 2nd through 4th, and June 9th through 11th at 7:00 p.m.
TICKETS: Pre-sale tickets can be purchased by contacting mcvtstheatre@gmail.com, $15 for adults and $5 for students. Tickets at the door are $17 for adults and $7 for students. Teachers and administrators K through 12 are free. and developed with STEM (Science, Technology, Engineering, and Mathematics) tools and ideas. By adding “Arts” to the STEM equation, a “STEAM”-powered way of thinking emerges. All Possibilities As True, written by guest artist Jessica Dickey, forces a bunch of teenagers to face their greatest fears during a during a quantum mechanics lecture in their physics classroom. Packing, by MCVTS Junior Michael Villanueva, deals with the friction between two friends when one of them has to move to a predominantly white suburb. Support Group for Weirdos, written by guest artist Nathan Alan Davi, is a dark comedy of three high school outcasts who band together with the help of a prosthetic arm. ID is a devised piece of theatre created by the sophomore and junior students that explores personal disconnection, fears, and aspirations surrounding the idea of America. The pieces will feature four projectors, a live camera feed, kinect technology, robotics, movable lights, and wearable tech, all of it developed by students under the guidance of several resident artists. science, technology, engineering, and math (STEM) with theatre as the focus. The New Jersey Institute of Technology (NJIT) was invited to participate in the project as an advisor. As the project gained momentum, the McCarter Theatre Center brought in a number of administrators and several local artists to train students on arts management, budgeting, marketing and other fields. designers the school had engaged for the project and, under the direction of Maria Aladren, they started to rehearse and create the four productions which form the STEAM Plays Project. The 2016 season of The Princeton Festival starts rolling this week with the best of a cappella vocal jazz, the preliminary rounds of the Festival’s annual Piano Competition for Young Performers, and two free events, an Artists Round Table and a Festival Preview. Festival events start moving on Wednesday, June 1, at 6:30pm with an Artists Round Table. Members of the opera’s cast, director and production staff informally discuss how they work to make Peter Grimes come to life on stage. Marian Burleigh-Motley, Head of Academic Affairs at the Metropolitan Museum of Art, moderates the discussion in the Erdman Center, Princeton Theological Seminary. The next evening, Thursday, June 2, at 7pm brings another free event for Festival-goers, a preview of Peter Grimes and A Little Night Music with scenes performed by members of the casts and commentary by the directors in the Princeton Public Library. Break from Blue Collar and The Fonic present the best in all-male a cappella on Saturday, June 4, at 8pm in Taplin Auditorium, Fine Hall on the Princeton University campus. Break from Blue Collar’s mix of barbershop and rock and roll recently won awards at the Barbershop Harmony Society, Mid-Atlantic Division competition. In contrast, The Fonic, a five-man vocal band from New York City mixes pop, rock, and soul, and does them all with high style and beautiful blend. Young pianists from the mid-Atlantic region and beyond gather on Saturday and Sunday, June 4 and 5, from 9:30am to 3:30pm in the Clark Music Center at The Lawrenceville School for preliminary rounds of the Festival’s Piano Competition for Young Performers. They compete in six age categories for trophies and cash. The preliminary rounds for these amazing young pianists are free and open to the public. The final round will take place on Sunday, June 12 at 3pm in Clark Music Center. For more information about the three weeks of the Festival and a link to ticket sales (handled by McCarter Theater), visit www.princetonfestival.org. To purchase tickets by phone, call McCarter Theatre at 609-258-2787. Performance dates are October 22, 23, 29, and 30 at 1:30 and 3:30pm. PLEASE NOTE: there is an additional sensory friendly show on October 29 at 11am and an additional performance at Giggles Theatre at St. Joseph’s Children’s Hospital on October 25 at 6pm. Jack and Annie are ready to open up an adventure...will you join them? 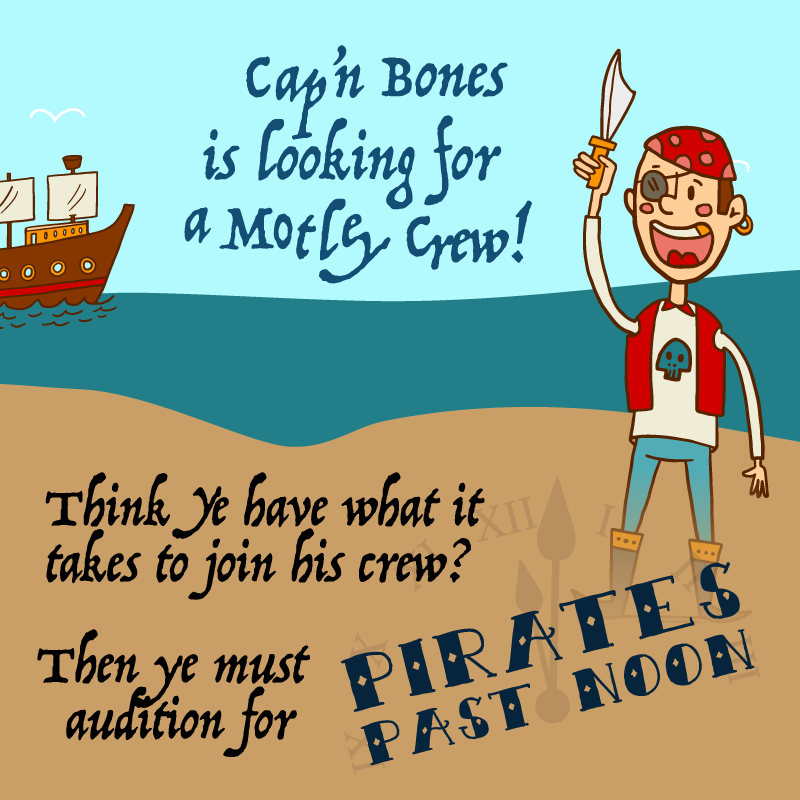 All of our buccaneers, (ages 5-12) will be featured in this high-sea adventure of a musical! WHEN: JULY 8-17 / six performances! Light Opera of New Jersey is proud to present Rupert Holmes' Tony Award-winning musical, The Mystery of Edwin Drood. Inspired by Charles Dickens' novel, this musical seeks to write the ending that Dickens never finished. It is up to you to decide who has murdered Drood! With plenty of opportunities for audience participation, Drood is sure to delight with a surprise ending every night. This charming production is directed by Jeffrey Fiorello with music direction by Stephen Fox and is produced by William Corson. The Society of Musical Arts concludes its 2015-2016 season with a free concert in Maplewood. Tragic Lovers will feature moving music by Tchaikovsky: Romeo & Juliet, Faure: Pelleas and Melisande, Wagner: Tristan and Isolde. Also on the program is Natalie Polito, soprano, with more tragedy—Mendelssohn: Infelice and other sad songs. You might to bring a box of tissues with you to the concert! Member of the Society of Musical Arts Orchestra are talented semi-professional and amatuer musicians from Maplewood and the surrounding area. The Society gives three free concerts each year, led by Maestro Stephen Culbertson of West Orange. Culbertson is known for his innovative programming and for bringing some of his wide network of musicians and composers to work with the orchestra. Clocking in at a touch over 60 minutes, the Women's Theater Company's cool, polished production of Marry Me a Little is the perfect antidote for the hot weather that presages summer in New Jersey. The pocket musical—there are only two performers—incorporates songs by the great American composer/lyricist Stephen Sondheim that were cut from several of his musicals, although the order and slight story woven through the songs are the brainchild of Craig Lucas (Prelude to a Kiss) and his frequent collaborator Norman Rene. The story, such as it is, involves two lonely, not so young singles alone in their respective apartments on a Saturday night. Aware of each other's existence, they are too reticent to pursue on, opting instead for dreaming of what could be. The songs convey not only their longing but also their fears of marriage, their expectations for happiness, the misery of being "alive and alone on a Saturday night" when "you might as well be dead." Patricia Durante and Joe Elefante (both members of Actors Equity, the professional organization for actors) are terrific at conveying this longing through their renditions of Sondheim's music, although at times it's easy to see why some of these songs were never sung onstage. At times, the lyrics and melodies are overly complex, wording is clunky and the content often uninteresting (although we do not know the original context for which they were composed). Of the two performers, Durante "acts" her songs better, with an expressive face and beautiful smile—not to mention a terrific voice. Elefante is more laid-back, so we don't really get a sense of his angst, although he does sing well too. Standout numbers are a very funny "Can That Boy Foxtrot" (cut from Follies) sung with sly double entendres by Durante. She really drags out the f in foxtrot so that there is no mistake about what she really means! A duet entitled "Two Fairy Tales" (from Into the Woods) gives the would-be relationship a fairy tale quality; we already know that it has little chance of fruition. Sondheim's pessimistic attitude toward love and wedded bliss are evident in "Bang" (from A Little Night Music), a comedic take-down of romance, and in "Marry Me a Little" (from Company) and "Happily Ever After" (from the same show), both of which telegraph the fear of losing one's "self" in marriage. "Pour le Sport" (from an unproduced show) spoofs golf while "Uptown, Downtown" (from Follies) chronicles the adventures of "hyphenated Harriett from New Rochelle," a girl so miserable in the 'burbs that she seeks excitement in the lower depths of New York society. And in a sequence entitled "A Moment with You," (from Saturday Night), Durante and Elefante perform a bittersweet waltz together, albeit in a dream. Todd Mills' set design is efficient yet evocative, with two armchairs to signify the respective apartments and a park bench and bridge as a possible meeting spot in Central Park. Rich Lovallo provides strong musical direction and piano accompaniment, while Lauren Moran Mills' musical staging smoothly moves the principals around the playing space. Frances Harrison's costumes are not overly fussy, yet they suggest states of mind and personalities. And of course, kudos to director Barbara Krajkowski for her fluid, intelligent direction of this little-known musical revue. Marry Me a Little may not contain Stephen Sondheim's best efforts, but it is interesting to see a master working out themes, lyrics and melodies that appear in his more successful musicals. The plot is slight—almost too slight to make sense—but fine performances make Marry Me a Little a fitting final production for the Women's Theater Company's 2015-2016 season. It's perfect music for a summer night! In honor of Memorial Day Weekend, UCPAC will be offering a 10% discount on all tickets to 10 select shows. Discount is available now and will end at 11:59pm on Monday, May 30th. No coupon code necessary! The staff UCPAC wishes you a safe & happy holiday weekend! ONLY 5 MORE CHANCES TO CATCH “A SONG AT TWILIGHT” @ STNJ! WHEN: Sunday, May 29, between the hours of 10 a.m. and 5 p.m. If you’re an art lover (or artistically inclined person) who lives in and around the New Jersey Shore, you probably couldn’t wait to put away winter’s drab watercolors — and to welcome Memorial Day Weekend 2016, while enjoying a day of light, color, activity, music, friendly people and good times in the arts-friendly fresh air of an exciting new season. Returning for an 18th annual edition, the annual Art in the Park event transforms the corner of Ocean and Brighton Avenues into one of the largest outdoor art happenings in the state; an art and artisanal crafts fair that emphasizes unique and original works over commercially produced “craft sale” merchandise. Sponsored by the Long Branch Arts Council and Long Branch Historical Association, with support from the City of Long Branch, Art in the Park takes place in a sunlit seaside setting that’s just one block from the beach — and within strolling or rolling distance to an eclectic menu of restaurants, taverns and eateries. Last year’s edition was among the most successful ever, with hundreds of visitors and more than 60 participating artists enjoying beautiful weather, live music and all-around good vibrations. For Art in the Park 2016, a contingent of first-timers will be joining dozens of returning painters, sculptors, jewelry designers and photographers — as well as The Paul Marino Band, who will once again provide live entertainment through the afternoon on the park’s outdoor stage. WHEN: a pair of 8 p.m. performances June 3 and 4, with post-play discussions to follow each night. ADMISSION: Admission is free, but reservations are recommended as seating is limited. To reserve seats, please visit www.georgestreetplayhouse.org or call the box office at 732-246-7717. Terra Incognita is an absurd dark comedy about a New Jersey family. Joseph and Lena have just paid off their mortgage and are looking forward to a bright and beautiful future until they discover that the underground gas storage tank in their backyard is leaking. Suddenly, their life becomes a labyrinth of complex, bizarre and illogical attempts to clean up the fuel-soaked soil beneath their home and prevent it from contaminating the groundwater and their marriage. 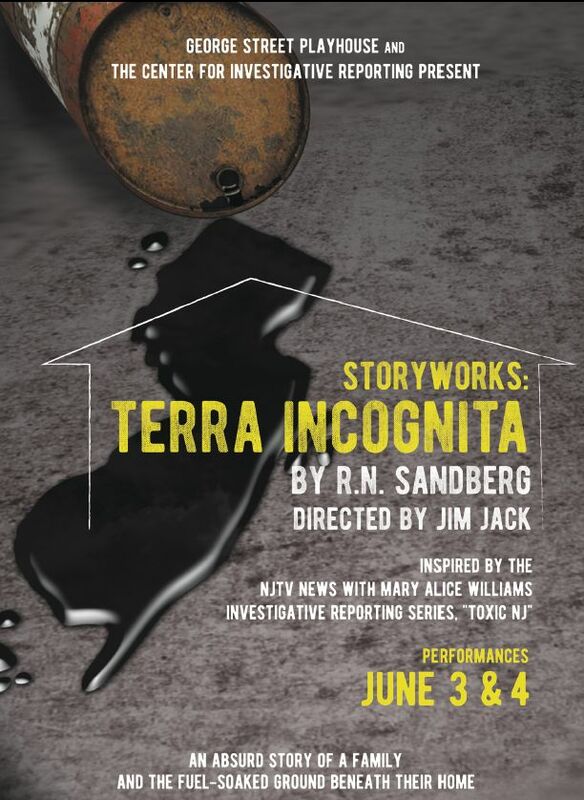 This StoryWorks production from George Street Playhouse and The Center for Investigative Reporting is inspired by the NJTV News with Mary Alice Williams investigative reporting series, "Toxic, NJ," reported by correspondent Brenda Flanagan. The series is part of Dirty Little Secrets, a collaborative reporting project investigating New Jersey’s toxic legacy. Participating news partners include New Jersey Public Radio/WNYC, WHYY, NJTV, NJ Spotlight, Jersey Shore Hurricane News, WBGO, New Brunswick Today and the Rutgers Department of Journalism and Media Studies. The Dirty Little Secrets project is coordinated by The Center for Investigative Reporting with help from the Center for Cooperative Media at Montclair State, with support from the Geraldine R. Dodge Foundation. More information about the series can be found at www.toxicnj.com. TICKETS: All tickets are only $12.75. Tickets may be purchased by calling 973-376-4343, or at the Paper Mill Box Office on Brookside Drive in Millburn, or online at www.papermill.org. ROBUST ARTS PROGRAMMING FROM PUSHCART PLAYERS: BOOK A PROGRAM FOR YOUR SCHOOL NOW! A robust arts education is an effective and extremely powerful way to generate: Student Achievement, Student Engagement, School Climate & Culture, and Parent Involvement. 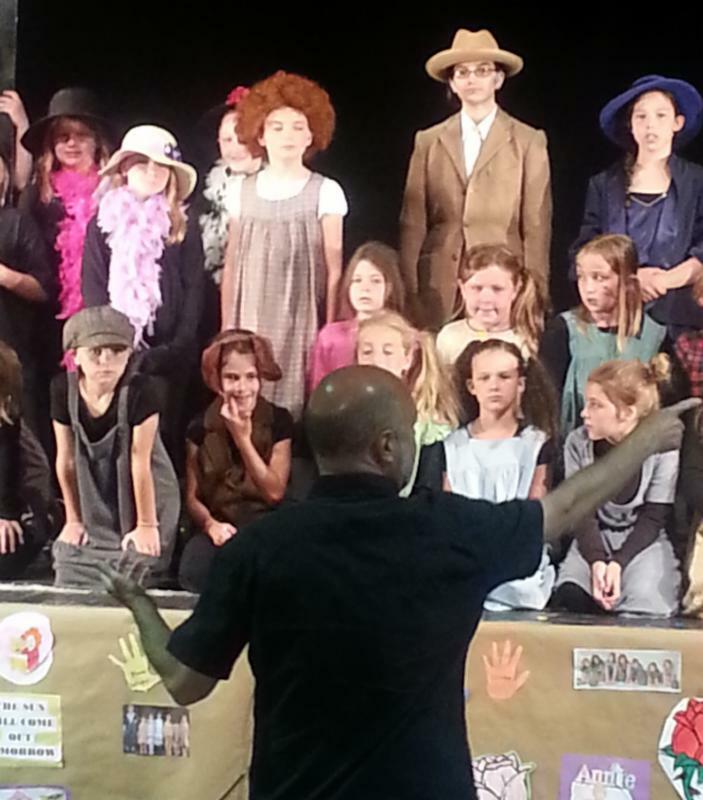 On-school-time or after: Students develop self-awareness and confidence in dramatic play and self-expression through Theater Exercises, Games, Storytelling and Improvisation Technique. On-school-time: Over a period of 4-12 weeks, students experience a more in-depth Creative Drama program that fosters an understanding of theater and creates a proficiency in expression. Curriculum inclusion in early grades sets the stage for the ability to act and interact in any life situation. Young people benefit from theater by doing it! Student productions directed by Pushcart directors and teaching artists. Over an average period of 12 to 16 weeks, familiar Broadway favorites are designed, costumed, rehearsed and presented by students with the involvement of teachers, parents, and camp counselors. Scripts originally produced by Pushcart and in our repertoire are adapted for schools and other groups to be performed by youth ensembles of up to 50 students. Directed by Pushcart faculty, or licensed to organizations for self-production. WHY TEACH THEATER IN SCHOOLS? Theater is SCIENTIFIC and MATHEMATICAL. Theater is a FOREIGN LANGUAGE and HISTORY. Theater is PHYSICAL EDUCATION and TECHNOLOGY, BUSINESS, LANGUAGE ARTS and ECONOMICS. have more COMPASSION and GENTLENESS, more GOOD... in short, MORE LIFE. Thank you for considering Pushcart Players for your arts education programming! Cabaret stars Carole J. Bufford and Marissa Mulder, accompanied by award-winning jazz pianist and composer Billy Stritch, perform "All the Way," "High Hopes" and other great songs written for Frank Sinatra's three decades as a Hollywood headliner.Sinatra biographer Will Friedwald hosts this unique performance and narrates screening of clips from Sinatra's hit Hollywood musicals. 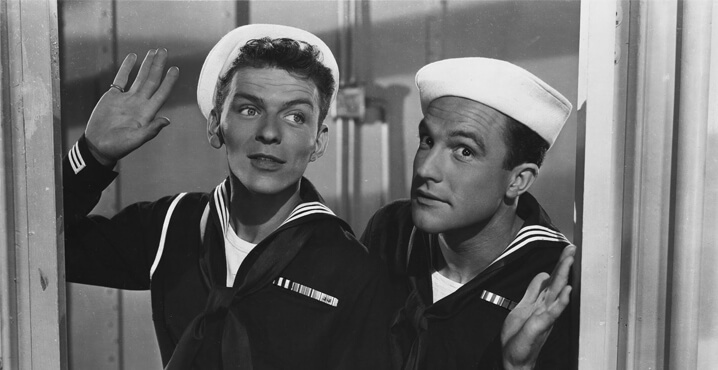 Whether dancing with Gene Kelly in On the Town, singing with Bing Crosby in High Society or shooting dice with Marlon Brando in Guys and Dolls, many of our favorite moments with Sinatra are from his vast and storied movie career. Join singers Carole J. Bufford, Marissa Mulder, jazz pianist and composer Billy Stritch and Frank Sinatra biographer Will Friedwald in the intimate, cabaret-style Chase Room as he hosts this unique performance and narrated screening of clips from Sinatra's hit Hollywood musicals. Billy Stritch is one of the premier singer-pianists on the New York and national jazz and cabaret scene. Billy has appeared in cabaret venues across the nation as well as concert performances at the London Palladium, NHK Hall in Tokyo and Rio de Janeiro's Municipale Auditorium. In New York, he has performed at Lincoln Center and Carnegie Hall and originated the role of Oscar the rehearsal pianist inthe 2001 Broadway revival of 42nd Street which starred Christine Ebersole. He is also a songwriter and arranger, and his composition "Does He Love You" was recorded by Reba McEntire and Linda Davis. The single reached the number one spot on the Billboard Country chart, winning a Grammy Award and selling over five million copies along the way. Billy has arranged for many top performers and is a frequent collaborator with Liza Minnelli. WHERE: St. John the Evangelist Church auditorium, on the corner of Washington Ave. and First St. in Dunellen, NJ. The show will be directed by Bill Seesselberg. Performances will be August 19-21 & 26-28 in Washington Park. Come prepared with 2 pieces of music, 16 bars each, a song from the show and an upbeat show tune. An accompanist will be provided. Be prepared to stay. All readings will be provided. The show is a series of brief vignettes showing the ups and downs of all childhood days, from wild optimism to utter despair. Whether you’re keen to fly with the Red Baron, moon over the Moonlight Sonata, or just do your best to find “Happiness,” You’re a Good Man, Charlie Brown is a crowd-pleaser. For additional information visit www.DunellenSkylightTheatre.com. 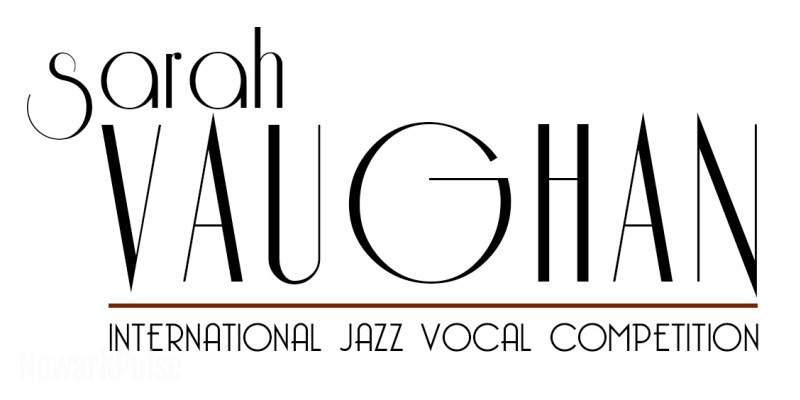 For the fifth consecutive year, singers from around the world will gather online to compete in the Sarah Vaughan International Jazz Vocal Competition, a 21st century version of the amateur night at the Apollo Theater that helped launch the career of a gifted teenager from Newark, Sarah "Sassy" Vaughan, more than 70 years ago. The only international vocal competition of its kind in the world, the Sarah Vaughan International Jazz Vocal Competition culminates in a rousing performance on the final day of the TD James Moody Jazz Festival (November 1-20), a yearly celebration of jazz at the New Jersey Performing Arts Center (NJPAC) and other venues in Greater Newark. On November 19, the evening prior to the competition, the festival presents a Sarah Vaughan Celebration, featuring the Christian McBride Trio and vocalists Dianne Reeves, Lisa Fischer and Sheila Jordan, in NJPAC's Victoria Theater. The contest provides a platform for one outstanding jazz singer to gain widespread recognition in the music industry. Past winners include Cyrille Aimée, Jazzmeia Horn (winner of the 2015 Thelonious Monk Competition), Ashleigh Smith and Arianna Neikrug. Beginning the week of May 16, female vocalists can submit an application online at sarahvaughancompetition.com. The public has the opportunity to vote for their favorites by visiting the website. Five finalists, who will be announced on October 18, will perform at NJPAC on November 20 before a panel of judges that will include four-time Gammy-winning jazz bassist and NJPAC's Jazz Advisor Christian McBride, legendary jazz vocalist and National Endowment for the Arts Jazz Master Sheila Jordan, Sheila Anderson from WBGO, and Mark Ruffin from Sirius XM. The competition is open to female vocalists who are 16 years or older and who are not presently signed to a major record label. Singers must submit audio clips online through a website powered by Indaba Music (sarahvaughancompetition.com) by September 12 at 5 p.m. Think you have what it takes? The judges are looking for vocal quality, musicality, technique, performance, individuality, artistic interpretation and ability to swing. The grand prize winner of the coveted SASSY Award will receive a $5,000 cash prize and a recording deal with Concord Music Group. The 2016 Sarah Vaughan International Jazz Vocal Competition finals will take place on Sunday, November 20 at 3 p.m. in NJPAC's intimate Victoria Theater. For tickets, call 1.888.GO.NJPAC (1.888.466.5722) or visit njpac.org. The TD James Moody Jazz Festival's title sponsor is TD Bank. The festival also is generously supported by the Geraldine R. Dodge Foundation. 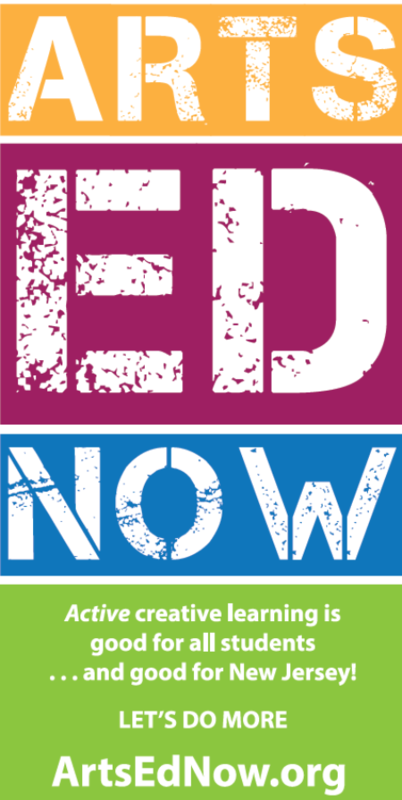 Special program support is provided by the National Endowment for the Arts. TICKETS: Tickets ranging from $75-$350 are on sale now from 732.345.1400 or www.tworivertheater.org; $350 tickets include an exclusive pre-show reception with the artists beginning at 6:30 pm and premium seats in the Rechnitz Theater. Other benefits of sponsorship include donor recognition on event materials and reserved parking. All proceeds support Two River Theater’s programs. Two-time Emmy Award-winner Alec Baldwin (Above. 30 Rock, A Streetcar Named Desire, Glengarry Glen Ross, It’s Complicated) and two-time Tony Award-winner and Oscar-winner Kevin Kline (Left. 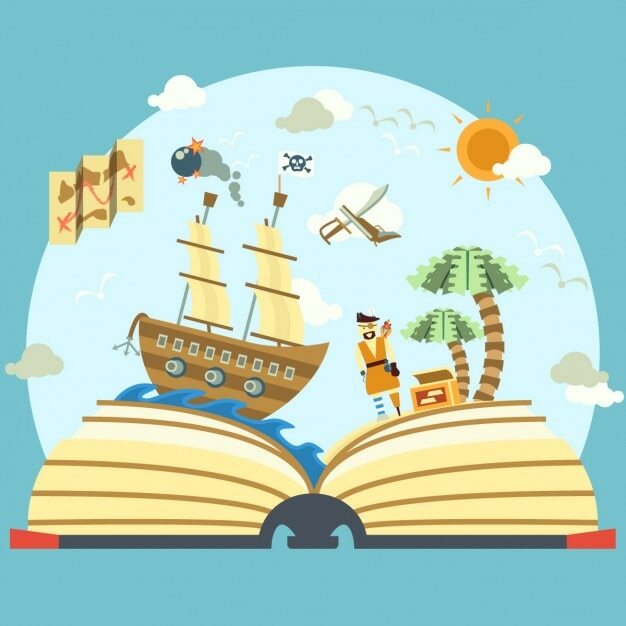 The Pirates of Penzance, Hamlet, Sophie’s Choice, A Fish Called Wanda) will share the stage of Two River’s Rechnitz Theater in this one-night event. TIME IS RUNNING OUT ON FREE TICKET OFFER! NJ REP’S “VILLAINOUS COMPANY” A HIT!